This Kaged Muscle-sponsored athlete has some tricks (and massive arms) up his sleeve. Watch his high-intensity approach to arms and learn how to develop an impressive set of your own! Whoever says there are too many arm workouts out there probably doesn't have arms the size of James Hollingshead's. And if you disagree, maybe his guns will convince you that your own routine just ain't cuttin' it. Strict form is the name of the game here, and that applies to both the warm-up and working sets. Hollingshead's workout also makes liberal use of the rest-pause method in a classic high-intensity training style. Basically, you hit all of your reps for the first 2 sets, making them essentially warm-up or ramp-up sets. Then, on the final and heaviest set, you go for broke. Hit 6-8 solid reps, leaving you right at failure. Rest 10-15 seconds, then do a few more reps. Keep going in that pattern until you can’t do another rep, period. If you've primarily taken an "all the volume, all the time" approach to arms, doing high-intensity arms like this could feel like a crazy battle each and every movement. But stick with it for a few weeks, and this approach will shorten your time spent in the gym and still allow you to bring the ultimate intensity that those babies need to grow. We know you'd never skip arm day, so you might as well give yourself something good to look at when you stop to flex in the mirror. For each exercise, increase the weight you use for each successive set. 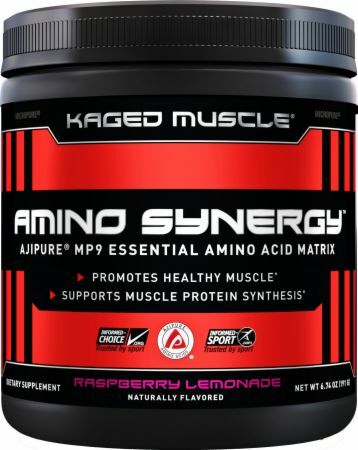 Essential Amino Acids to Support Workout Recovery. Fermented and Vegan-Sourced. Hollingshead likes to start his arm workouts with a cable exercise like this one to prepare his arms and elbows for the heavier free-weight exercises to come. As Hollingshead mentions, the V-bar tends to be easier on the wrists than some other handles. A straight bar in particular can place strain on the elbow joints. But that doesn't mean you can't also go heavy in the final set. Stay nice and upright with your shoulders pulled back in a seated position. Your elbows should be out wide and the dumbbells parallel with each other behind your head. Drive the dumbbells up as high as you can. No half reps allowed! As you lower the dumbbells, don't let them bang together. Keep your elbows tucked behind you, as flaring them can put unwanted pressure on your anterior delts and take away from the full-on blast to your triceps. Descend all the way down to 90 degrees before returning to start. You can go surprisingly heavy on this move, so give that final set everything you've got. Hollingshead normally does this exercise with dumbbells, but here he uses a machine. If you're a gym floater, take advantage of equipment you don't normally use! Dumbbells or a barbell with a supine grip would definitely still get the job done. And don't skip the rest-pause reps at the end of the final set. Your elbow should never leave your side as you curl; assume that it's glued to your side at your rib cage. Engage your core and keep your body rigid. Your opposite arm should be straight at rest. Slow and controlled reps will stimulate a more effective pump. It's your final chance to really fill those guns with blood! Set up the attachment so that your hands are even with the pulley when your biceps are fully contracted. Start with your arms extended out (you will be in a Y-position) and bring them toward your head. Keep your elbows high, parallel with your shoulder joints. Kailan Kalina is a Bodybuilding.com content editor, competitive powerlifter, and certified personal trainer.